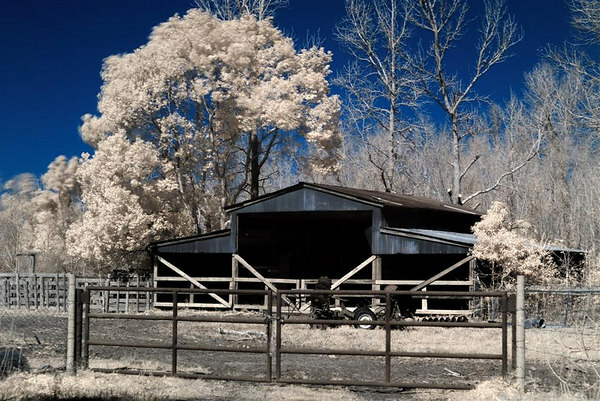 + The filter used in this picture is an IR infrared filter to filter out the entire visible spectrum and allowing only the infrared light above their designated wavelength to pass. + This filter can also be used to see perfectly through sunglasses and dark, tinted car windows. + IR filters used in conjunction with an IR sensitive camera can sometimes see things completely invisible to the human eye. + Other applications where the IR filter can be used include: environmental studies, natural resource studies, monitoring geographical and geological changes, investigating coastal erosion and identifying marsh land vegetation, archaeological exploration, surface mining and mined land disturbances, hydrological studies and channel mapping, monitoring oil spills, irrigation studies, medicine, mineralogy, philately, art history, entomology, etc.